Consumers can now use Twitter to book rooms at most Loews Hotels, according to a recent announcement by the company. 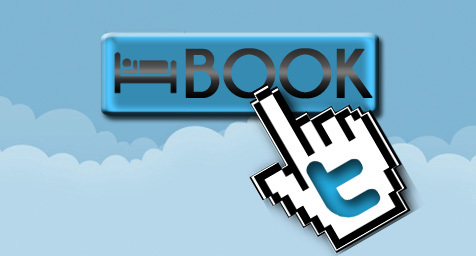 To make a reservation users simply need to include the hashtag #BookLoews in a tweet to @Loews Hotels. One of the brand’s representatives will then start a Twitter conversation to answer any questions and will tweet a link to a secure chat to process payment information. Loews kicked off the program on Tuesday by offering the first 140 Twitter users who booked using the hashtag a discounted rate of $140 per night. For now, consumers can use the system to reserve a room at 16 of Loews’ 19 properties (its Orlando hotels are excluded). As USA Today points out in its coverage of the initiative, the idea for the program came from an interaction with a traveler who sent a tweet asking for Boston hotel recommendations. Loews contacted the person to suggest a property and then began brainstorming ways to go one step further and enable actual bookings via Twitter. According to a report by PhocusWright, U.S. mobile travel bookings are expected to top $25 billion by 2014, a three-fold increase from 2011, and the move by Loews is part of a growing trend by travel brands to engage these tech-savvy consumers wherever possible. The emergence of Twitter as a commerce channel should be closely watched by all brands, not just those in the travel and hospitality vertical. As younger consumers become accustomed to using social networks to buy products and services, they will increasingly reward brands that make it easy to purchase on the platforms they use most. Leverage the latest social media trends in hotel marketing for your hotel brand. Contact MDG Advertising today at 561-338-7797 or visit mdgadvertising.com.